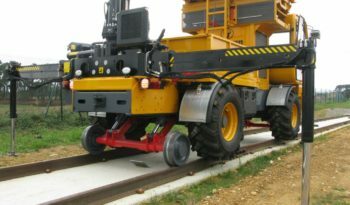 Features • Articulated chassis The articulated chassis provides high stability on track especially in stretches under renovation or construction. 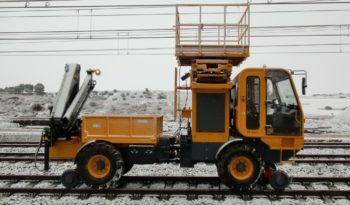 • Easy on and off tracking This reduces transportation times and increase effective working time. 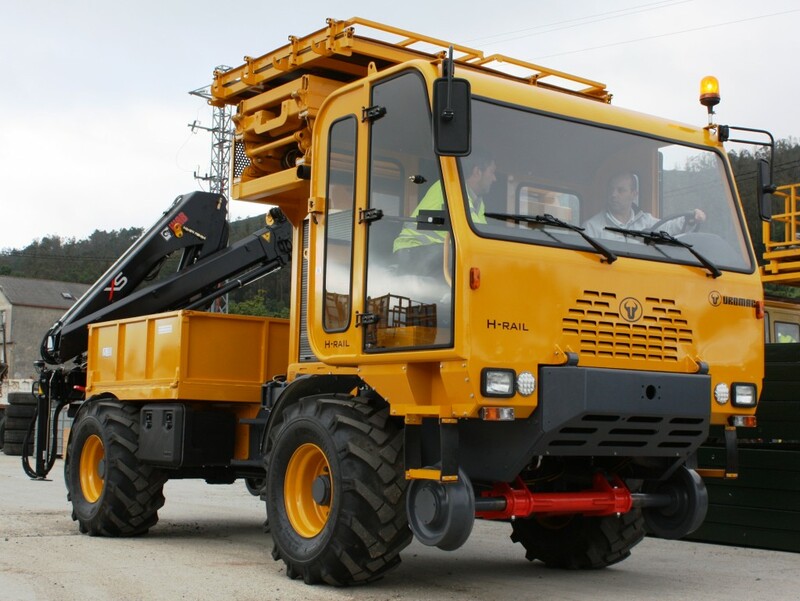 • Simplicity and robustness Designed for long lifetime using heavy duty components from first class manufacturers. • Off-road performance Excellent in most exigent terrains (snow, sand, mud) and easy mount on/off track operation with no need of level crossing. 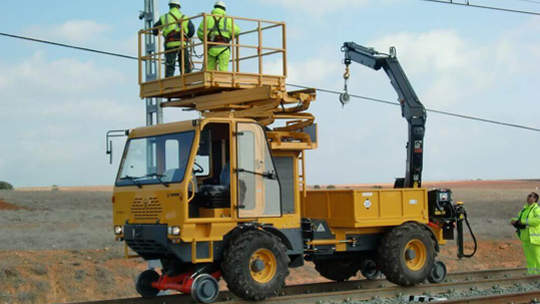 • Attachments Choose from a wide range of attachments to perform any railway maintenance operation. 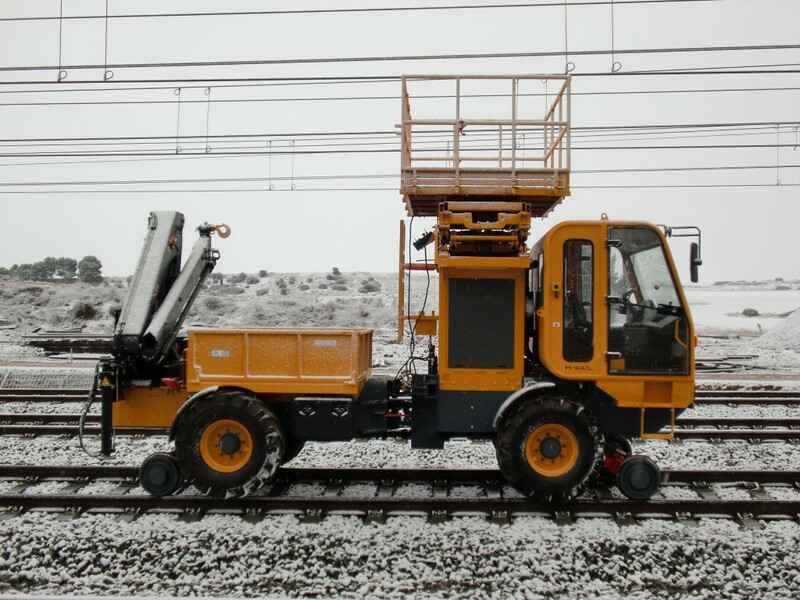 • Powerful hydraulics Efficient hydraulic systems powered by LINDE guarantees performance and interface with railway attachments. 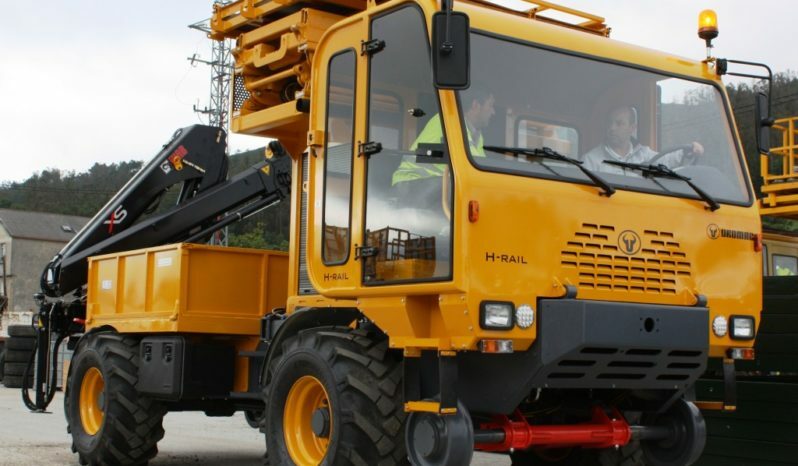 • Low profile tires Large pneumatic tires are excellent in all kind of terrains and minimize the maintenance cost and the risk of fails. • Railway axles system Equipped with guiding diplor system available for any railway gauge. 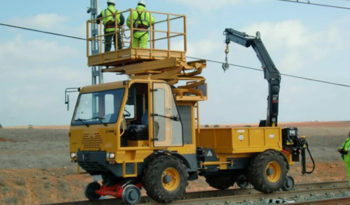 Manual track gauge change by the driver. 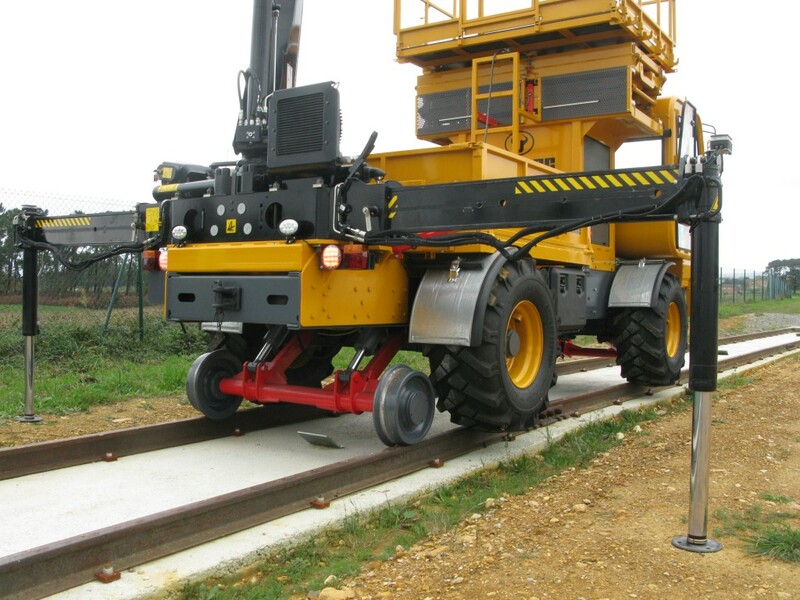 • Transportable H-RAIL can be transported in trucks or conventional platforms due to its compact design. 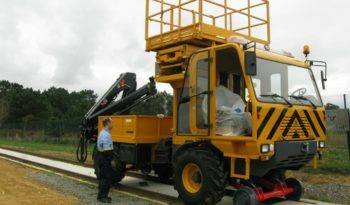 Loading and unloading maneuvers result quick, simple and safe. 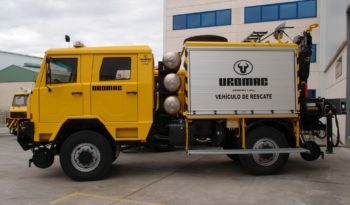 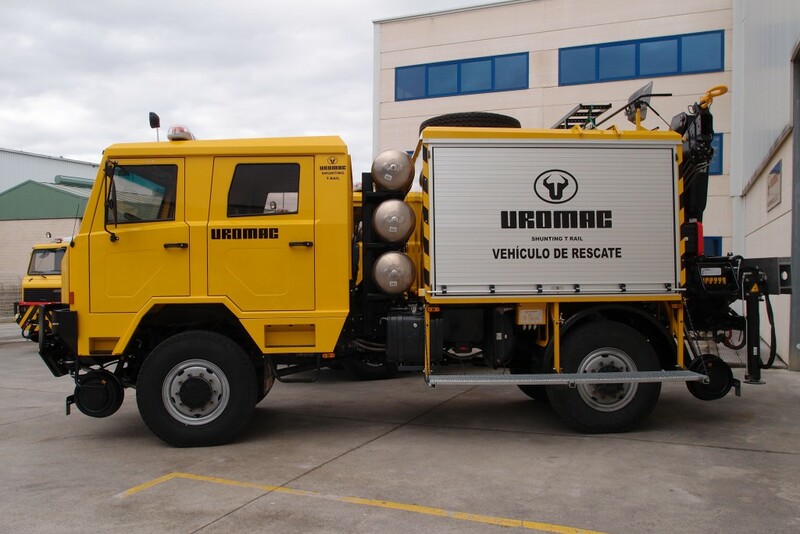 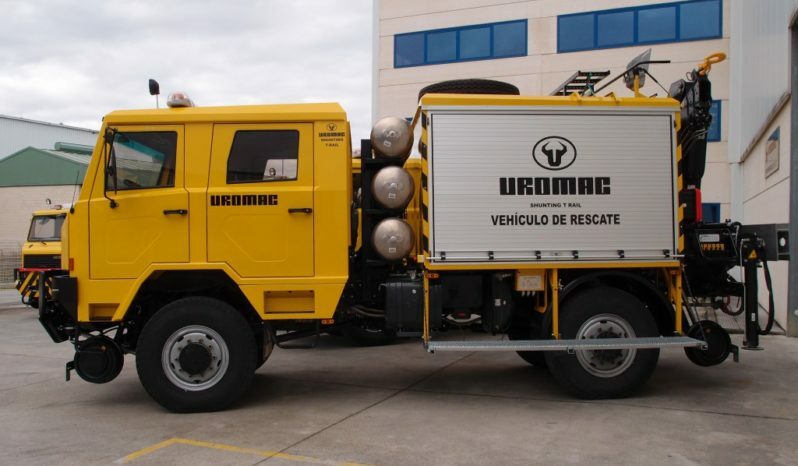 Based on a machine chassis and mechanisms UROMAC has developed a new concept of dumptruck that maximizes efficiency in maintenance operations while significantly reducing the investment needed. 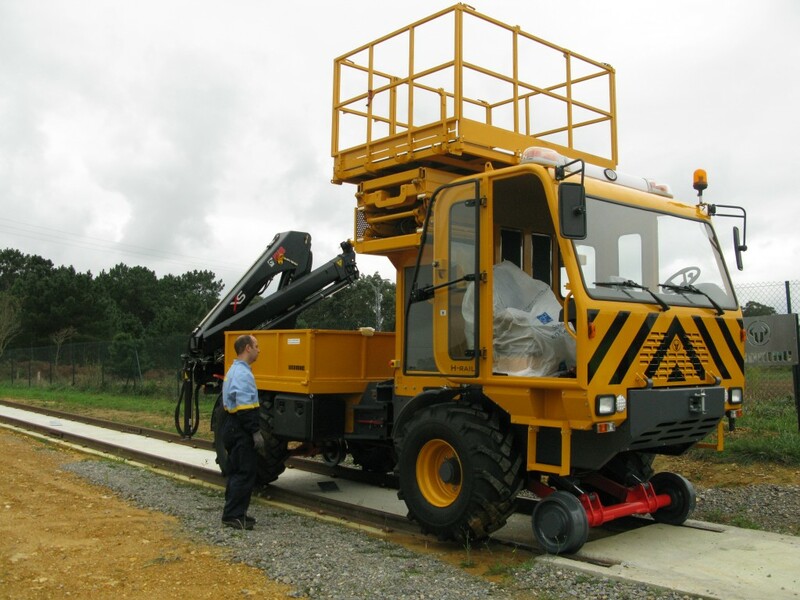 H-TRUCK hydrostatic transmission and 4x4 traction bring smooth driving on track increasing safety when working/driving from the platform. 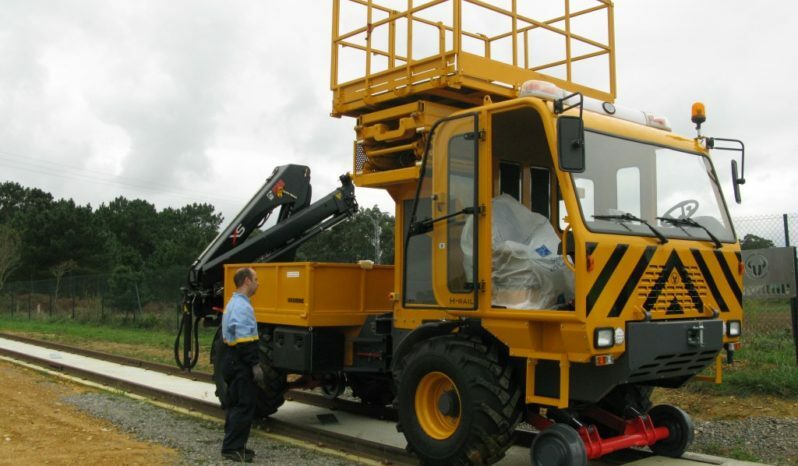 Moreover the articulated chassis can be blocked to prevent swinging working on height.